In the early 1930s, the fictional character The Shadow appeared in a detective magazine of the same name. The pulp magazine revolved around a mysterious nocturnal crime-fighter. 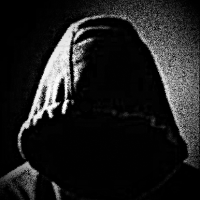 The character evolved into a vigilante figure with anti-hero qualities. The Shadow, as his name suggests, terrorized criminals at night, possessed psychic powers, and was clad in black. Needless to say, The Shadow shared a number of characteristics with Batman, who was introduced nine years after The Shadow. In fact, one could say that Batman creator Bob Kane loosely based his character on The Shadow. The character was originally depicted as wearing a trademark wide brimmed black hat and a black crimson-lined cloak with an upturned collar over a standard black business suit. However, overtime his appearance changed. 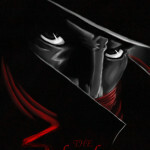 Subsequent depictions, to include the 1994 film of the same name, portrayed the Shadow as wearing a wide-brimmed, black fedora and a crimson scarf just below his nose and across his mouth and chin (Fig. 1). The Shadow, like Batman had an alter ego. During day, he would masquerade as the wealthy and attractive socialite Lamont Cranston while at night he assumed the identity of The Shadow. Figure 2. Try as we may, we cannot escape our shadow. 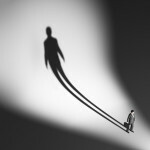 Because the shadow poses a moral problem, it also proffers an opportunity for personal growth. Few mythological stories present the moral problem of evil as starkly as the Christian Gospels. Although the problem of evil is a perennial theme in Christianity, there are three chief archetypal figures that highlight the problem of evil in the New Testament: Jesus, Satan, and God. The late Jungian analyst Edward Edinger (1987) went to great lengths to explicate the Christian myth, which he rightly pointed out has its origins in even older myths (e.g., The Egyptian Osiris, Isis, and Set). The shadow distorts our perceptions and can lead to a wave of illusory projections. In order to avoid problematic projections, we should try to acknowledge the shadow rather than denying or hiding it. Such conscious recognition can help us avoid projecting shadow qualities on others, which can not only afflict individuals but also impact groups and entire nations. Shadow projections further distort our picture of ourselves and others. One need only be human to recognize that there are certain things we do not like about ourselves, which we relegate to a highly fortified compartment of the human mind. Although these contents are unconscious, they still plague us with their effects often appearing as strange and hostile interlopers. They live within us as psychic seeds of shame and guilt. The shadow is an archetype, a potential that we carry with us beneath the thin veneer that characterizes our conscious life. As Jung pointed out: “Everyone carries a shadow, and the less it is embodied in the individual’s conscious life, the blacker and denser it is” (CW10, para. 132). Thus, only by confronting the shadow can we attain wholeness and resolve our projections, which underpins another key Jungian idea: individuation. No person can achieve wholeness by living divided. For every Bruce Wayne there is a Batman and, for every Lamont Cranston there is The Shadow. The shadow works in concert with what Jung called the inferior function, the most underdeveloped mode of consciousness—feeling, thinking, sensation, or intuition. That is why in analysis, the patient is encouraged to try to consciously exercise his or her inferior function by way of his or her auxiliary and tertiary functions. One practically needs to burrow through the auxiliary and tertiary functions to arrive at the inferior function, which is the least differentiated mode of consciousness within the personality. By making a conscious effort to exercise ones’ inferior function, one is also activating the contents of his or her shadow. The intended goal is ultimately achieving a more whole and proportionate personality, which parallels Jung’s principle of individuation. So one might ask why the shadow appears in the first place? Adaptation is imperfect and the ego deems countless experience as incompatible with its associated values. Although Jung viewed the shadow as a component of the collective unconscious, he also acknowledged that it is largely shaped and colored by personal and cultural factors. The personality may desire something that is not commensurate with social and cultural demands, which leads to the repression of certain experiences and further divides the personality. Just like the ego, the shadow is psychologically necessary. Try as we may, we simply cannot avoid casting a shadow. By bringing the shadow into consciousness, it loses its power and the personality wins an increase in consciousness. One however can only approximate integration of the shadow. One can never raise it fully into consciousness. In this way, we must accept that there are certain parts of the personality that we can never fully assimilate. We should be careful about banishing all of our demons (i.e., shadow material). Even our figurative demons serve a purpose. For when we think they have been exorcised, they do not go away but merely become something else. We should then aspire to reconcile the ego with shadow, as much as the sun attempts to reconcile day and night. 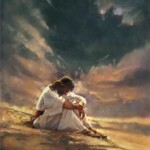 “To confront a person with his shadow is to show him his own light” (CW10, para. 872). Confrontation with the shadow, like Christ’s encounter with Satan, can lead to a higher order of knowledge and self-awareness. Though the experience can feel disconcerting and even terrifying, it can foster personal growth and psychic health. In fact, one could consider the integration of the shadow as essential to knowledge of the self. psychology. Inner City Books: Toronto. Jung, C. G. (1945). After the catastrophe. In H. Read, H. Read, M. Fordham, G. Adler, & W. McGuire (Eds. ), The collected works of C. G. Jung (R. F. C. Hull, Trans.) (2nd ed., Vol. 10). Princeton, NJ: Princeton University Press. Shouldn’t it be “the shadow SHOULDN’T be viewed as entirely negative….”? Joanne, Good catch. You are right, it should read “shouldn’t” and now it does. Thank you for pointing that out. Wow, what an article! I really enjoyed reading it, and appreciate you going the extra mile to hyperlink to so many rich resources. Your blog spot is really shaping up. I look forward to see what comes next. I like the article about the shadow. But I had hard time following some parts of it. You went from The Shadow comic book character to Jung and then to Jesus. Why so many references? I’m not saying bad, but what does Satan have to do with shadow archetype or Shadow comic book? Minh, Thank you for the comment and the question. The reason I inserted so many cultural references and allusions, ranging from popular culture to religion , was to demonstrate the efficacy and currency of the shadow archetype in the human psyche. The shadow is multivalent and polysemous for its wide range of manifestations. One need only watch movies to see to what degree this archetype plays a dominant role in the psyche. Regarding your question about Satan . Viewed psychologically, Satan is a shadow figure. 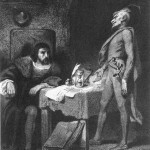 Recall that Satan, like Mephistopheles in Faust, had a lot of positive qualities that indirectly benefited Jesus in the former case and the person of Faust in the latter case. The opposites give rise to tension and this tension advances development. 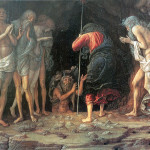 Jung does a superb job explicating the Satan-Christ connection in his late work Aion, a must read for any die-hard Jungian. I’ve had my run ins with my shadow and I can now say they were necessary to my personal growth and self-awareness. In the beginning it’s difficult not to attempt to suppress those demons but as you mentioned we must be careful of banishing them because they serve a purpose. They are part of who we are. Great article, enjoyed reading it. Marco, just like Faust gained something valuable from Mephistopheles, the quintessential shadow figure, each of us can benefit from what our shadow has to teach us, if we take the time to listen and engage it. This of course requires consciousness and unfortunately it sometimes takes life altering events to release us from our primordial slumber, so to speak. I think the trick is learning to live with one’s shadow and turning it into something productive. Thank you.